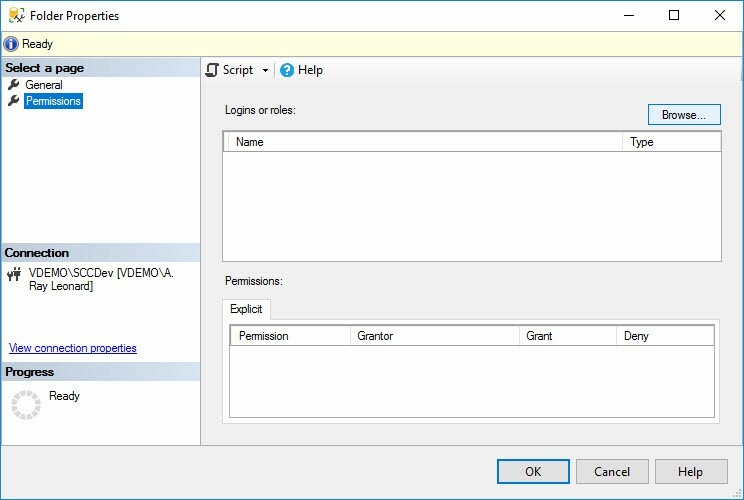 The SSIS Catalog has built-in security to manage permissions. 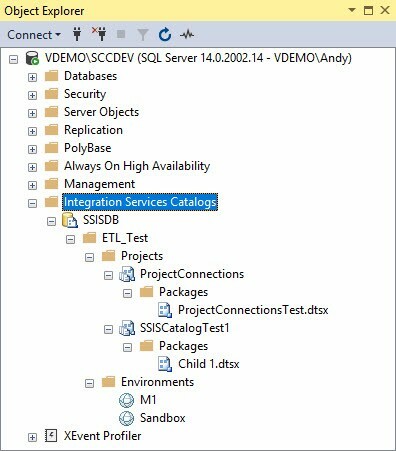 SSISDB – the database behind the SSIS Catalog – is “just a database” in many respects. 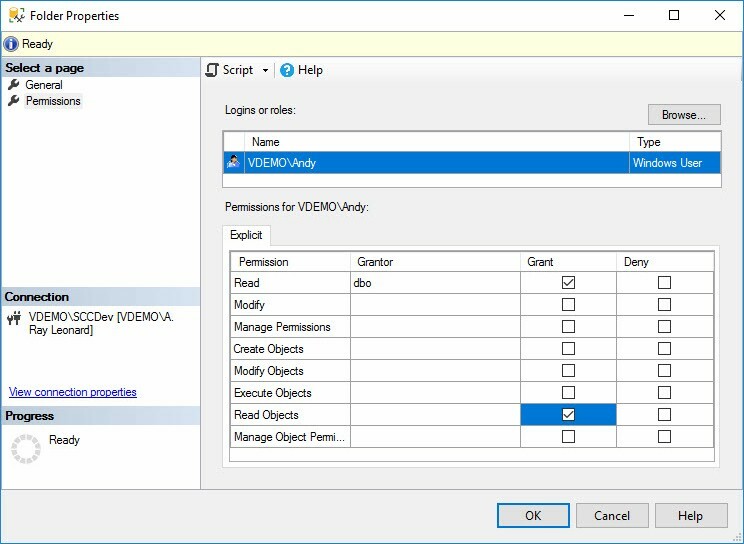 When it comes to security, the SSIS Catalog surfaces an internal mechanism that provides granular permissions management. If you work with SSIS you already know the Microsoft team of technical writers is comprised of artists, masters of the field of technical writing. I’m convinced a large part of the successful adoption of SSIS is due these good people. You can see a sample of their outstanding artistry in the article titled Integration Services Roles (SSIS Service). 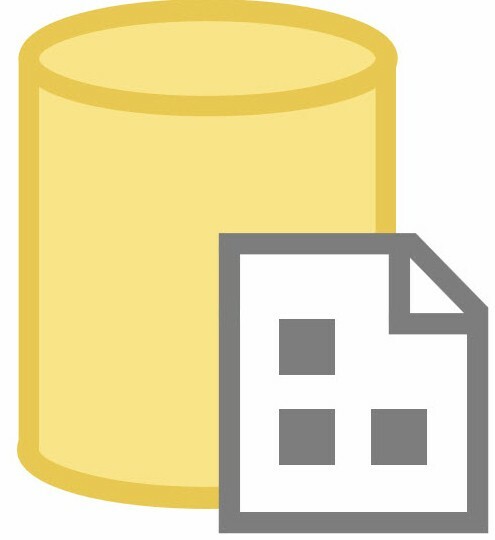 SSIS_admin and ssis_logreader are SQL Server database roles. 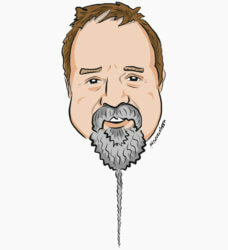 As such, they are typically set and maintained by Database Administrators (DBAs). 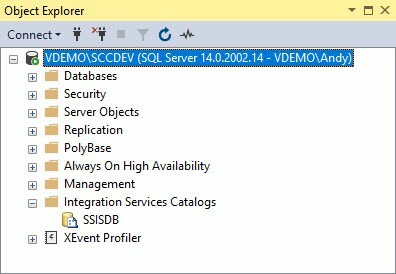 Thought 2: Although SSISDB is a SQL Server database, it’s more like an application coded in T-SQL. 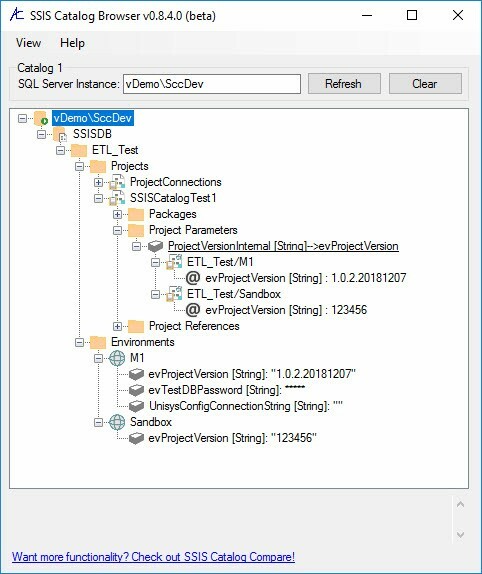 SQL Logins – even sysadmins such as sa – cannot deploy SSIS projects to an SSIS Catalog. Or execute SSIS packages. 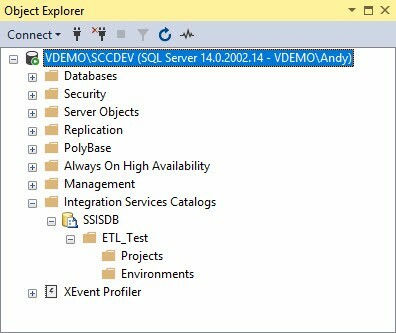 One exception: an Azure-SSIS SSISDB database hosted on an instance of Azure SQL DB can perform SSIS Catalog administration using a SQL Login. 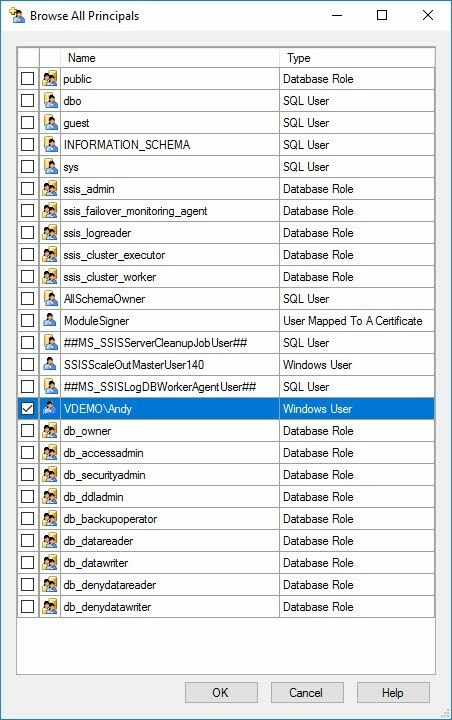 In sum, the SSIS Catalog is a database application that requires Windows authentication for administrative tasks. SSIS Catalog Browser presents a unified view of all SSIS Catalog artifacts (and it’s free!). All SSIS Catalog-related products and utilities at DILM Suite respect SSIS Catalog security. 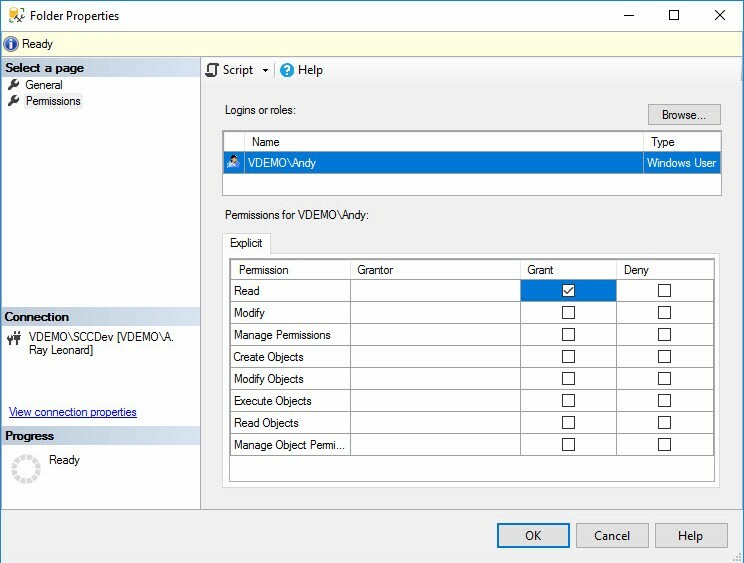 Early versions of SSIS Catalog Compare allowed users to login with SQL Server Login credentials and access SSIS Catalog artifacts that SSIS Catalog security would block. 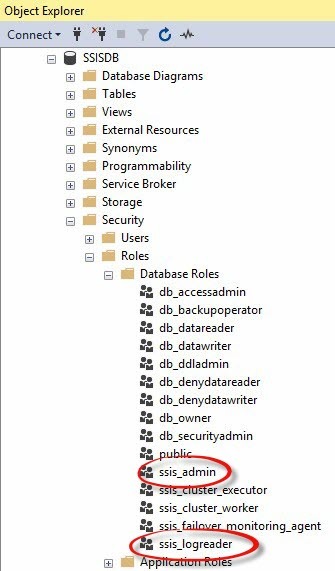 A couple years ago I refactored CatalogBase – the object beneath DILM Suite’s SSIS Catalog products and utilities that interacts with the SSIS Catalog – to respect SSIS Catalog security. I can hear you thinking, “Where are the projects and environments, Andy?” That is an excellent question. I’m glad you asked! They exist, of course, but we only granted the user Read permission for the SSIS Catalog Folder. 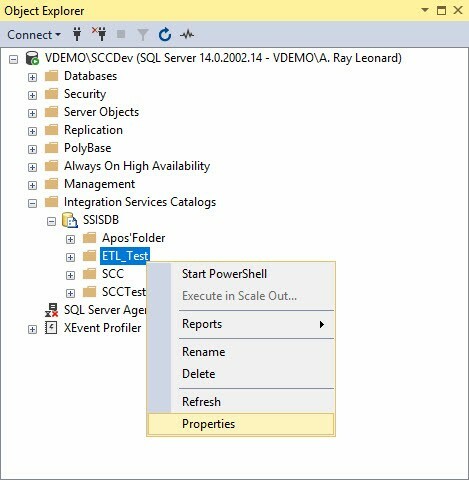 The SSIS Catalog surfaces a rich and powerful security model that may be leveraged by enterprise data integration DevOps teams using SSMS or SSIS Catalog Browser. Want to learn more? From me? Join me for the next delivery of Expert SSIS – a 2-day, live, remote SSIS training event! Previous PostPrevious Presenting Moving Data with Azure Data Factory in Richmond 7 Feb! Next PostNext Enterprise Data & Analytics Welcomes Shannon Lowder!